There is no question that the rise of 5G is causing a tremendous amount of discussion around the technology world. However, 5G’s implications are far reaching, and its impact will be felt far beyond just the tech world. For some people, the full power of 5G may not be realized until they experience ultra-high-speed connectivity on their mobile device, but the true impact of 5G will be felt much sooner. This year early 5G deployments and iterations are already making meaningful strides. This week at 5G World in London, I had the chance to spend some time with the Intel team, who shared with me some of the early 5G use cases that are showing the unbound potential of this emerging standard for network connectivity. Intel, Telia Group Sweden, and Skydome have developed a public safety use case that is powered by a combination of high-powered computing near the network edge, biometrics and VR/AR. City officials use remote cameras and sensors to monitor traffic and overall safety conditions. When the application identifies a traffic accident, a fire alarm or other emergency, city managers can coordinate and control the emergency response using interactive, control center and VR/AR functionality. Check out this short video to see some early concepts from lab tests. This example of 5G providing next generation services for the first responder is clear foreshadowing of things to come in the area of public safety. 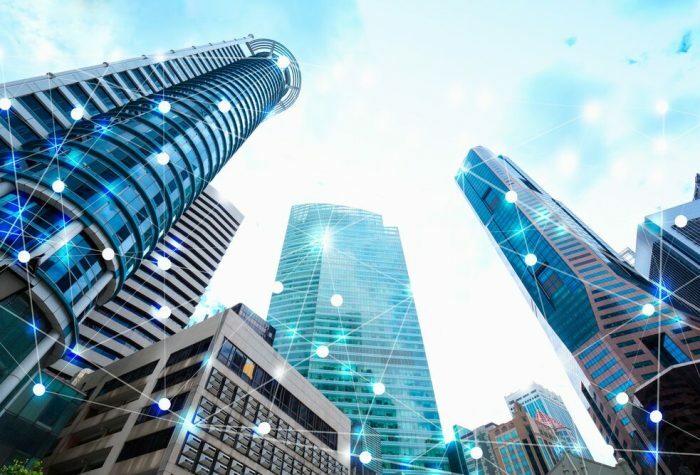 5G will finally enable the long shared vision of technology insiders as it comes to realizing smart city concepts. Another solid example of a groundbreaking 5G application is a recent IIOT use case with Telia Company Finland and Nokia at Nokia’s Oulu factory. In this example cameras capture live video of an assembly line employee, who was intentionally committing a higher than acceptable rate of process errors. An application hosted on an edge server inside the factory analyzed the video, identified the errors and delivered real-time visual alarms to the assembly line worker. The objective of the test was to use what is called multi-access edge computing or MEC to reduce errors and improve safety. The companies duplicated the test scenario with the video data transmitted to a datacenter almost 600 kilometers from the factory. This distributed computing and network environment highlights the dynamics of 5G and different use cases. Some applications require computing and analytics as close as possible to the device, while other, less-critical applications don’t. The difference lies in requirements around latency levels. Intel has promoted its work with China Unicom Shanghai, Nokia, and Tencent to deliver a multi-access edge computing (MEC) solution at Shanghai Mercedes Benz Arena. China Unicom customers who visit the arena are able to enjoy significantly improved real-time viewing experience on their devices because of more bandwidth and shorter processing time in the arena. You can learn more about the Shanghai Mercedes Benz Arena in the MEC Smart Stadium brief, and the blog covering Nokia’s story. While the Shanghai project is just a single instance of 5G’s potential, this instance is driving continued work within Intel to develop solutions focused on delivering ultra high-definition, VR/AR experiences in smart stadiums. I believe that these types of experiences will become the norm for professional sporting venues within just a few short years of seeing commercial 5G deployments reach major markets. Intel just announced a new 5G infrastructure reference design in conjunction with key partners. Why is this important? A reference design is essentially a technical recipe. In this case, that recipe defines the key ingredients required to position high-powered compute resources closer to the consumer, business or devices – aka a radio access network (RAN) or network edge. For a variety of reasons, these resources need to operate much like a cloud computing environment does – where almost every application is virtualized. A recipe, particularly in baking, needs a binding agent or glue that holds together the ingredients. With Intel’s 5G infrastructure recipe, there are two binding agents: open industry collaboration and a shared Intel processing foundation. Multiple companies have contributed their unique technology solutions as ingredients, and Amdocs will act as the baker – using ONAP to deliver finished goods to Communication Service Providers. In turn, these service providers will be able to more quickly launch new services, like those highlighted in this blog. This technology is not wishful thinking for the future. All of these solutions have been tested and are available today. While this news may fly under the radar for some people, it’s precisely this type of collaborative innovation that will accelerate 5G availability in the near term. Ok, So what does 5G require? 5G World provided me with a tremendous look ahead at the 5G space. As you can see from the examples above, there is massive business potential in 5G, and we really are just at the precipice of it. For those interested in better understanding what will be required for enterprises to truly benefit from 5G, here is a quick snapshot. I will be covering this more extensively in the weeks and months to come, but here is a primer. End-to-end foundation – 5G upgrades/deployments will require 5G capabilities at the network, in the cloud, and in the client. Software-defined infrastructure – Ultimate flexibility requires virtualized and cloud ready infrastructure that can be quickly programmed and upgraded at the software level. With the proliferation of AI and Machine Learning, we will see (in the not so distant future) more advanced intelligence in networks and connected devices. Together the foundation and software-defined infrastructure serve as the key components to building and deploying enterprise wide 5G. This year’s 5G World provided a tremendous amount of context around the current and impending role out of 5G technologies. The use cases are becoming clearer, and the requirements to benefit from the technology are well defined. I’m bullish on the impact that 5G will have on enterprise, society and financial markets as adoption soars over the next few years. Stay with me for more on 5G as we are sure to be hearing and seeing a lot more on the topic in the weeks and months to come. *This post was sponsored by Intel, but all views and opinions are my own.